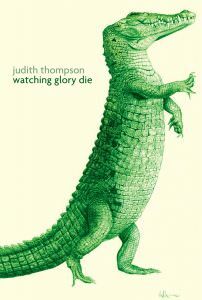 In Watching Glory Die, two-time Governor General’s Literary Award–winner Judith Thompson tells the tragic story of Glory—a character inspired by 19-year-old Ashley Smith who died in 2007 of self-strangulation in Ontario’s Grand Valley Institution for Women after guards were instructed to not intervene while she was still breathing. (A coroner’s jury ruled Smith’s death a homicide in 2013.) Although the play’s inspiration derives from a specific event, the themes explored in the narrative are, sadly, evergreen. The lack of empathy and compassion toward Glory illustrates toxic attitudes toward women and girls in the judicial system, particularly those struggling with mental illness. We’ve all heard someone talk in the same way the prison guard speaks about Glory—as if she’s an abstract problem and not a real flesh-and-blood human—that needs to be dealt with. Watching Glory Die is an utterly disturbing but eye-opening call to address deep-rooted, fatal attitudes toward women and youth.